The best sports show conglomerate on BlogTalkRadio. We've got Baseball, Football, Basketball, and even Hockey. Tune in and become a part of the action! Our featured weekly show is "A To Z Sports Live! ", hosted by Adam Barazani, Zach Shapiro, and Umer Khan! A to Z Sports Live! - Breaking Down the NBA Draft! The gang breaks down the NBA draft, the big NBA trades, and the baseball season! HOT TAKES! The gang breaks down the NFL Draft, NBA Playoffs, and more! A to Z Sports Live! - Super Bowl Special! The gang tackles the Super Bowl right before the big game! Live from Radio Row! A to Z Sports Live! - Blizzard Special! The gang discusses the NFL playoffs, the NBA, and the MLB offseason! The gang breaks down the NFL playoff picture and NBA season! 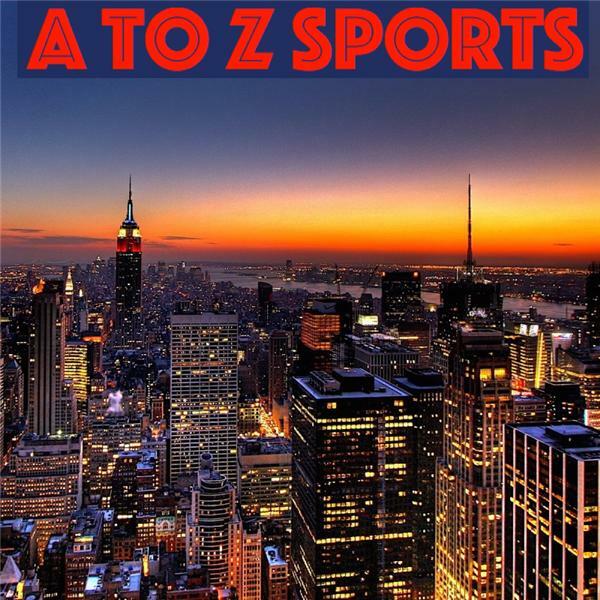 A to Z and U talk all things New York sports! A to Z Sports Live! - NFL and MLB Extravaganza! Breaking down all of the NFL and MLB action! Adam and Zach discuss game 7.